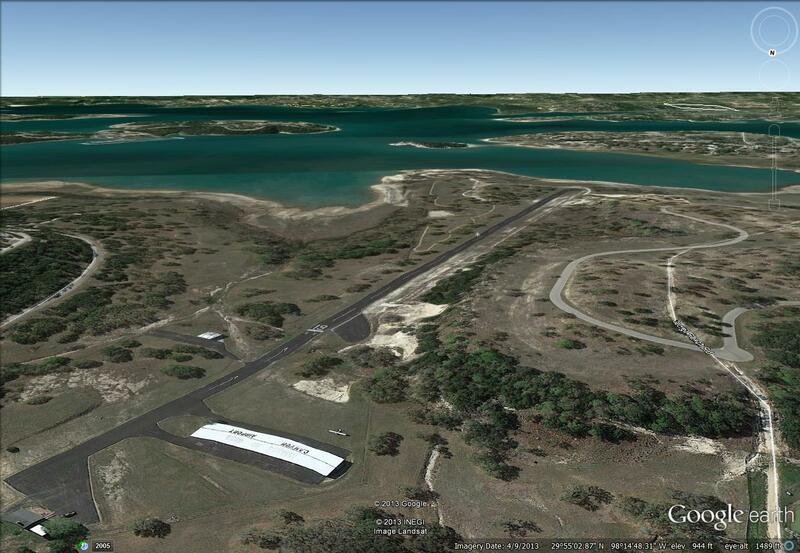 Located on the North end of Canyon Lake, off of Hancock Road, this is a very small and quiet airport. No helicopters allowed, there is land available to purchase (40′ x 40′ ) for T-hangar or tie-down area. There is no fuel available at the airport. 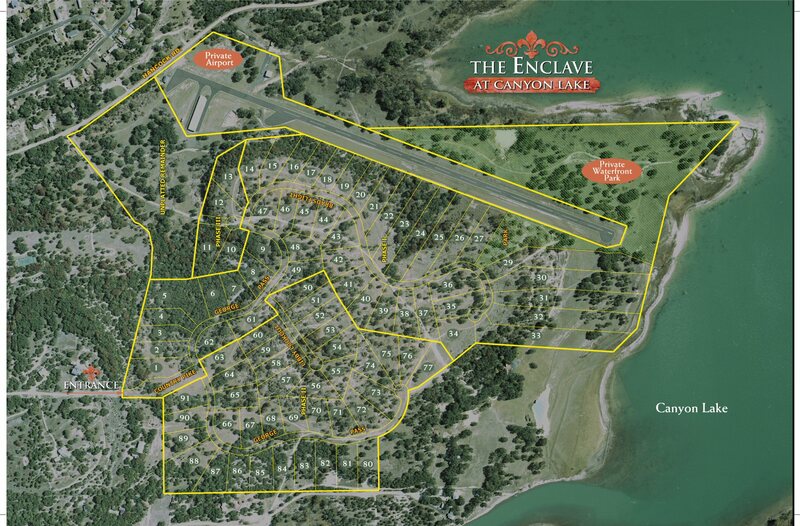 While not an air-park or aircraft community, there are two ways to go: You can currently buy a runway frontage lot inside of the Enclave a Canyon Lake development, OR you can buy a space inside the airport and commute from a nearby location… some as close as a golf cart ride away. The Enclave has fairly stiff restrictions and requires the home be built prior to the hangar; and the hangar must be of similar materials and aesthetics as the home. Theme is Tuscan. The hangar would be immediately adjacent to the runway and you would taxi out directly on to the runway. 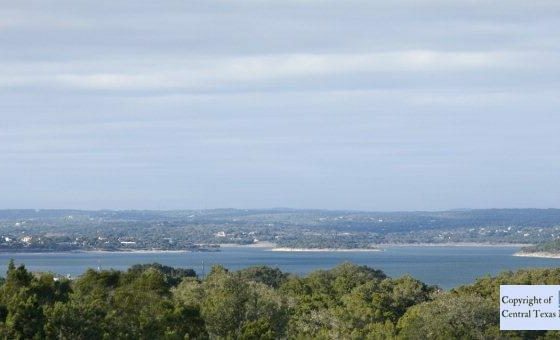 The runway level and hangar level are basically the same, but both are substantially lower than the overlooking bluff that the Enclave lots are on. That makes for a great view from your home, but there will need to be a staircase or elevator to get down to the hangar. Last note, the runway has flooded before. While not a common occurrence, it has happened so you will need to be aware of that. 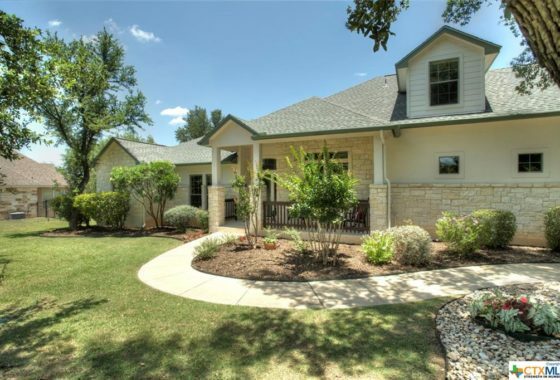 Upsides of living in Canyon Lake area are no city taxes, very laid back area but only 15 to 20 minutes away from interstates, shopping centers, grocery, Home Depot and Lowes. Minimal traffic, and stunning views. This is a destination area on the grow. 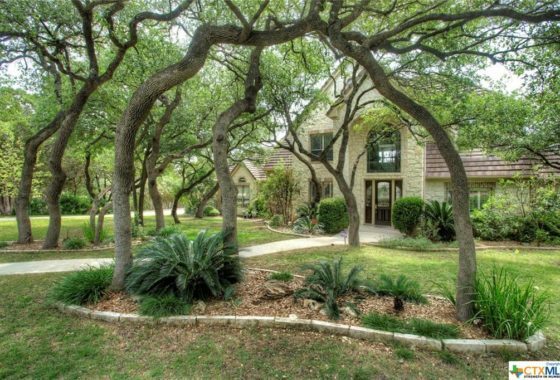 We can sure help you whether you want to explore the Enclave or properties around it… or even other airpark communities. 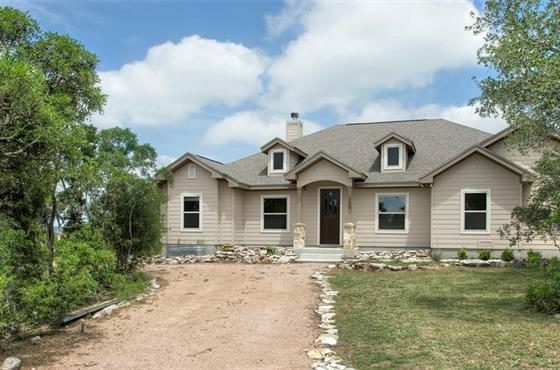 Give Doug a call at 830-837-9228. Glad to discuss your ideas and show you around.